How do you know if it’s time for a smile makeover? Many people haven’t actually thought about it. Do you give half-smiles? You know, the smiles where you stop yourself from smiling all the way because you want to make sure your teeth are still hidden. Your smile—or lack of one—sets the tone for every face-to-face interaction you have all day, every day. Body language makes up most of the subtext of each conversation, and subtext quietly guides the way we respond to one another whether we realize it or not. Your feelings about your smile will become part of the subtext, especially if you lack the confidence to offer a full, uninhibited smile to someone who has earned it. It will affect the way you interact with others. And because it’s how most people’s brains are designed to operate, others will feel that hesitancy from you too. So what are you going to do about the lack of love you’re feeling for your not-so-pearly whites? If you’ve decided it’s time for a smile makeover, then consider a consultation with Dr. Wohler. She’s passionate about helping people have smiles that are a reflection of how they feel on the inside. And she’s a highly qualified dentist who never stops learning. But don’t take our word for it. Listen to what some of her patients have to say about her. Terry had crowns placed on many of her upper teeth over 30 years ago. A lot can change in 30 years, and Terry’s smile reflected that. Now, what was once beautiful crowns were germ-catchers, and the transition between her crown and her teeth acted as the perfect shelter for tiny fragments of food. That food is like fuel to a fire made entirely of the typical bacteria we all have in our mouths. Except this bacteria had an on-going feast to live off of. Aside from the cosmetic implications of Terry’s 30-year-old crowns, the potential for overgrowth of bacteria meant added risk of gum disease, tooth decay, infection, and inflammation. We asked Terry how her old crowns had impacted her life. “It affected my willingness to smile broadly,” she responded. 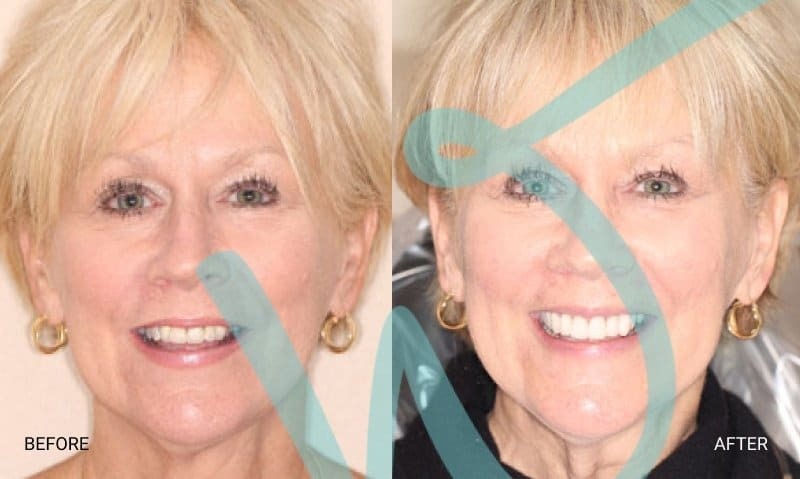 After an evaluation and discussing Terry’s goals and preferences in her dental care, Dr. Wohlers encouraged Terry to have nine of her front, upper crowns replaced. And she did. As a long-time patient of a retiring dentist you’ve always loved, it’s hard to try again with a new dentist. And it’s hard to believe you can possibly find another dentist you’ll trust as much. But Renee was pleasantly surprised. Schedule your appointment, and we’ll see you soon.